Nia wasn’t looking for a job. She wanted to attract new clients to her business. In particular she wanted to work with more corporations in order to grow her revenue. For this reason we dropped a lot of big names – corporate executives like to know they’re working with the best – but we also presented the resume with more creativity than we would for an accountant. We didn’t want these people to view Nia just like any other job applicant, and a traditional resume header would have given that impression. 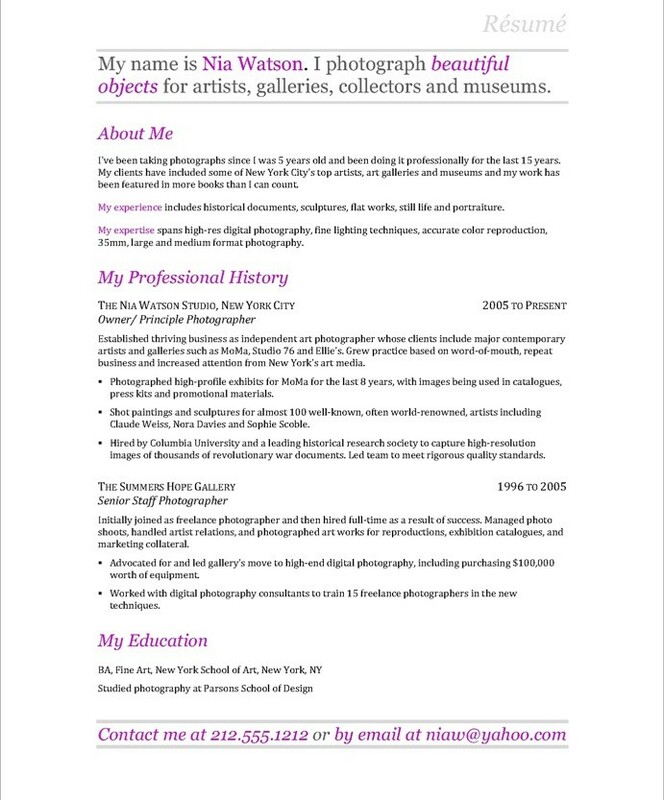 This sample reiterates how important it is to create a strategy for your resume before you start to write. What message are you trying to send? Who is your audience? What will impress them?